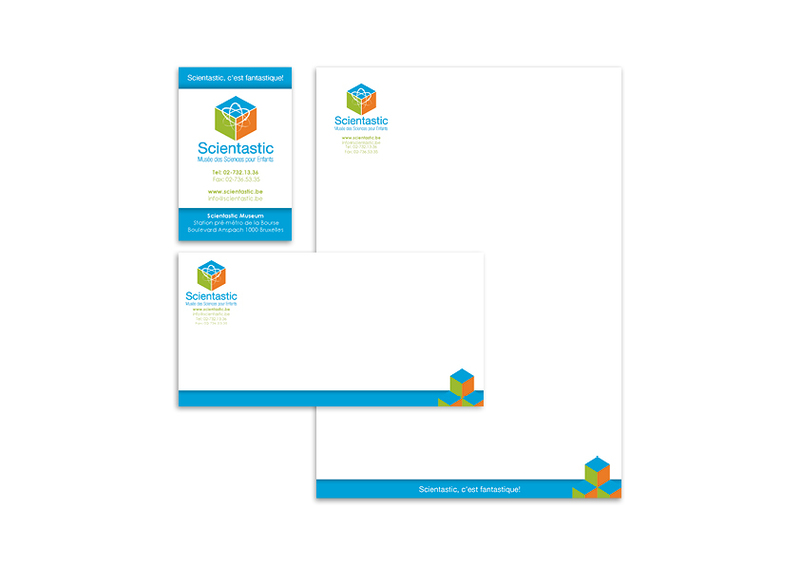 Creation of logo and visual identity for Scientastic, a sciences museum for children, based in Brussels. The logo is a combination of cube wich represents an optical illusion and the chemistry atom symbol. The logo’s color scheme was chosen according the fact it represents a children museum. This visual identity was done as a fictive project during my graphic design training course.